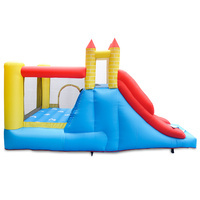 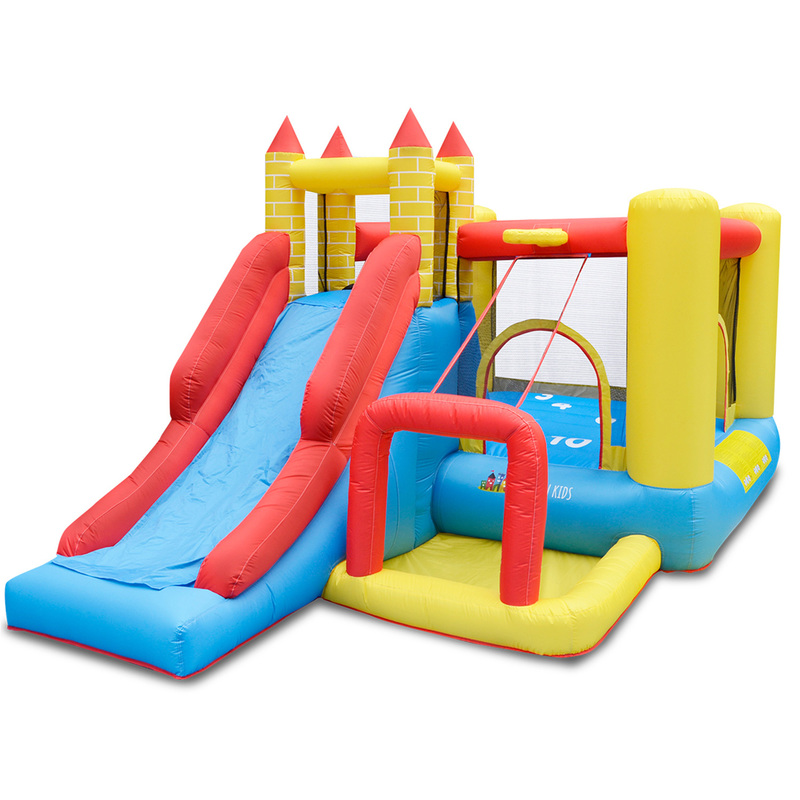 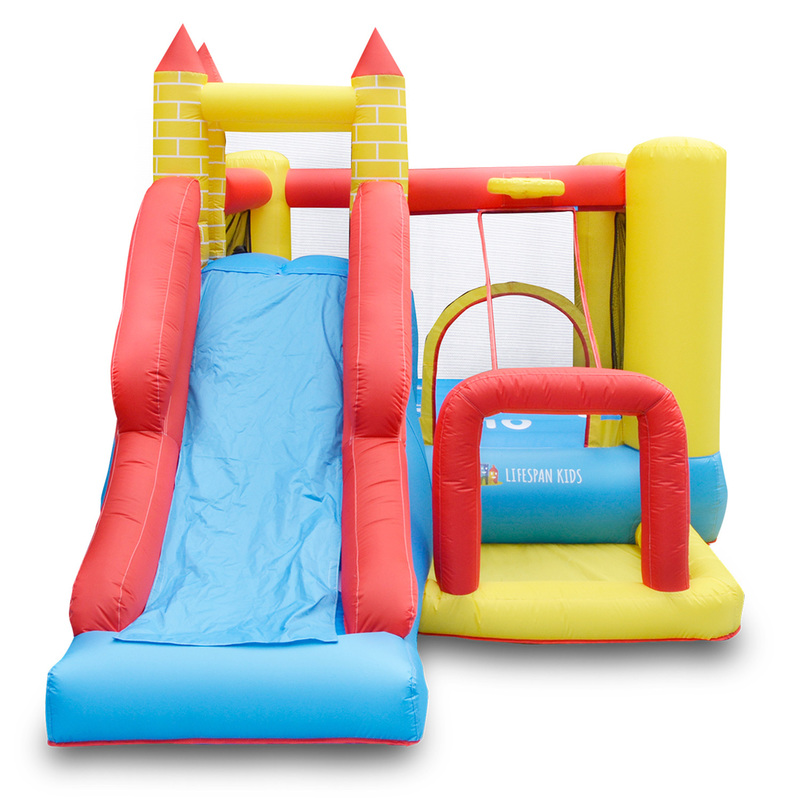 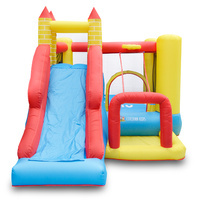 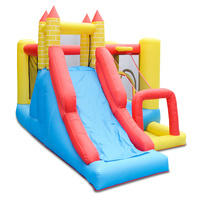 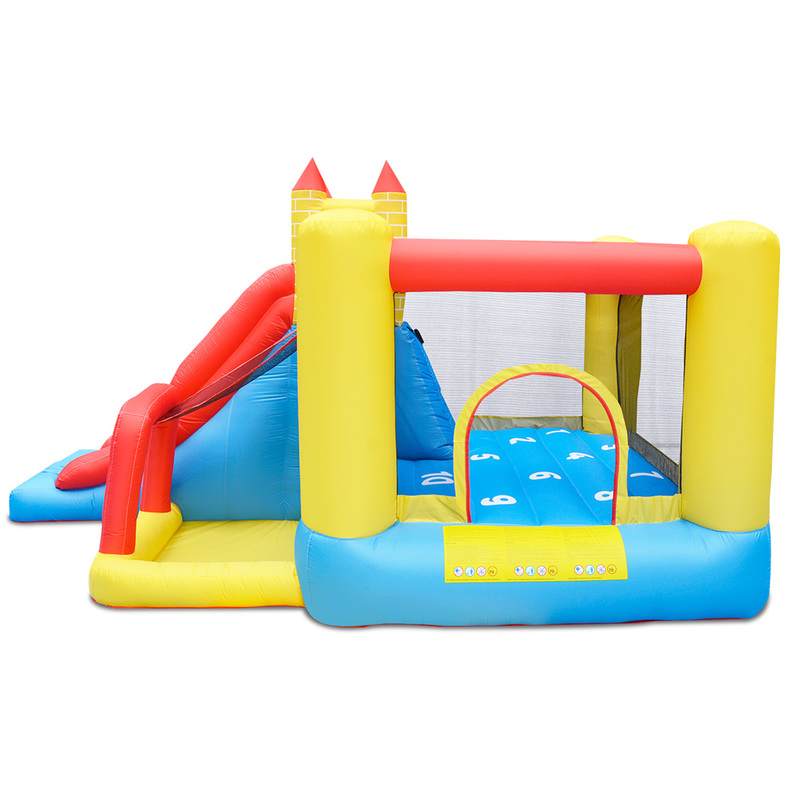 Awesome Climb and 1.71m Slide - For all the little thrill seekers, our BounceFort Plus 2 comes with a 1.71m slide for some climb and slide action. 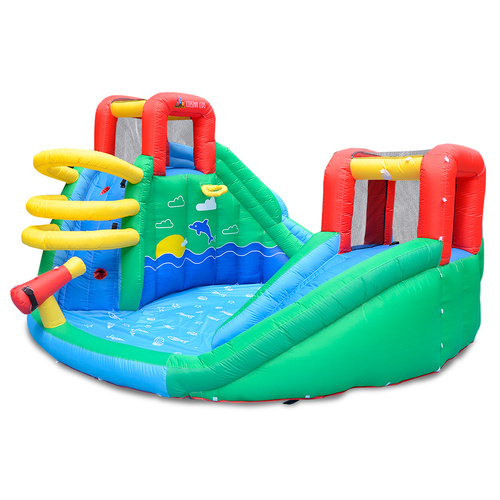 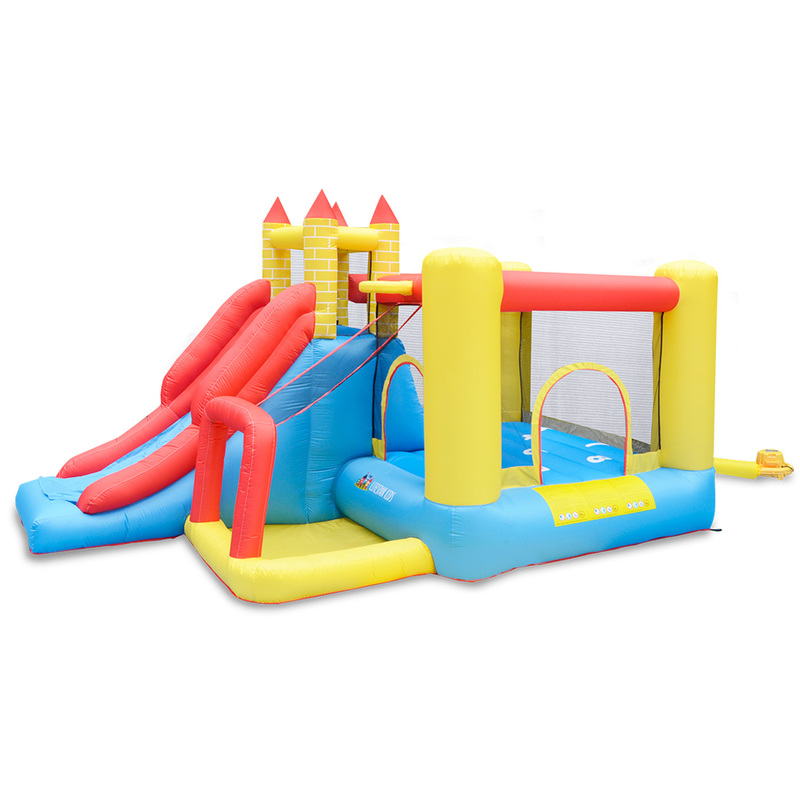 Electric Air Pump Included and UV-Protected - Our BounceFort Plus 2 comes with an electric air pump to keep your castle inflated during play. Basketball Hoop - For all little athletes out there - an awesome Basketball hoop with a ball pit/net ramp for heaps of ball play fun. 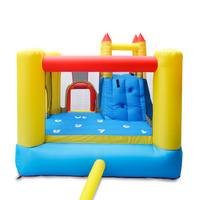 Passes Australian Standards - We know how important safety is for your kids, our BounceFort Castle passes all relevant Australian Safety Standards. 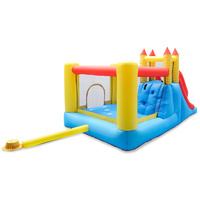 Ball Pit Area - Add another dimension to your kid's play. Double Stitching & Puncture Proof - Our BounceFort Plus 2 comes with double stitching and heavy duty puncture proof materials for maximum durability. 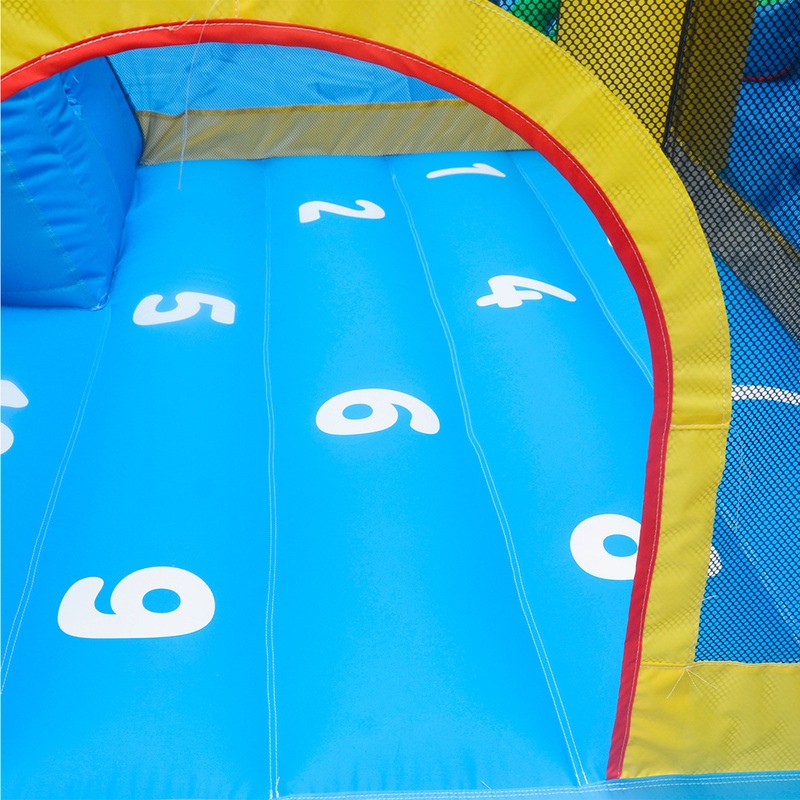 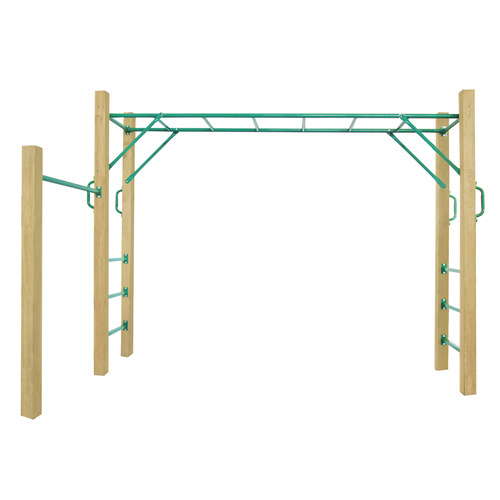 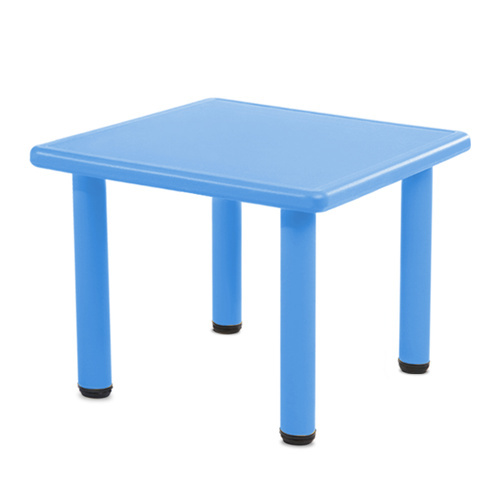 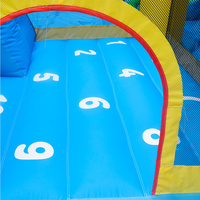 Number Themed Jumping Area - We know kids love to use their imagination during play – our numbers are simple to follow and great to bounce with. 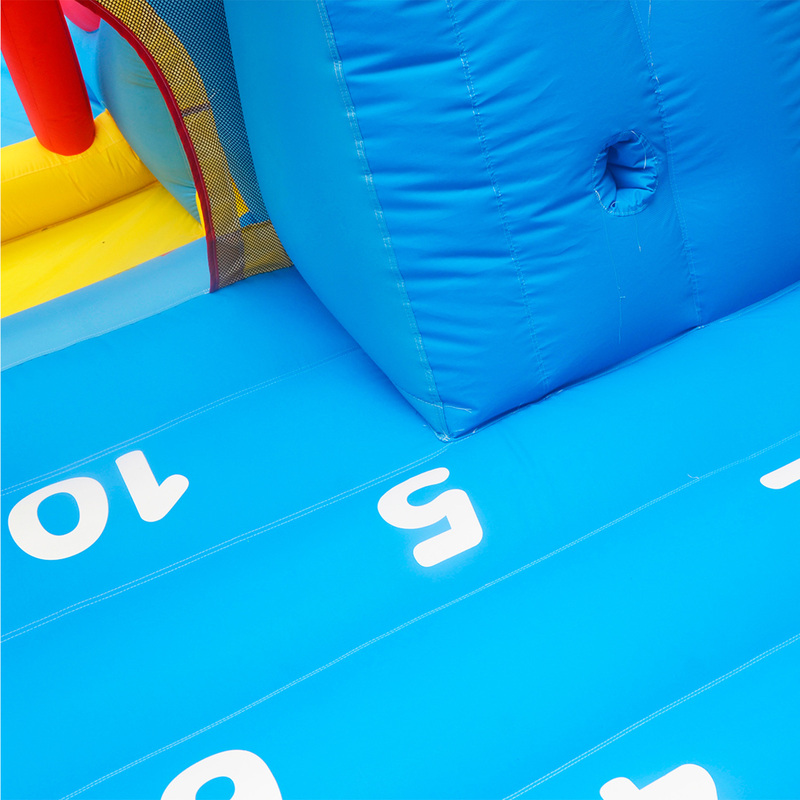 Easy to inflate - Simply switch on your electric air pump and it inflates in a couple of minutes & space savvy when not used. 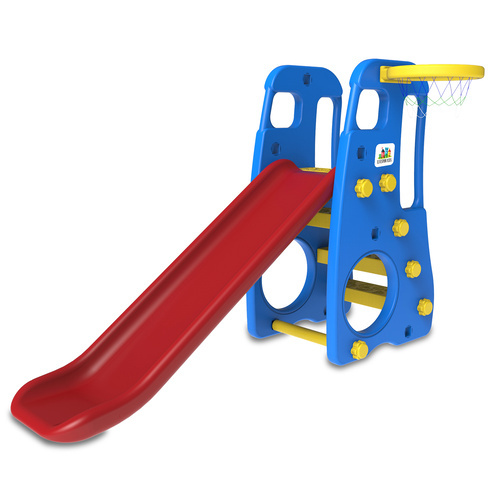 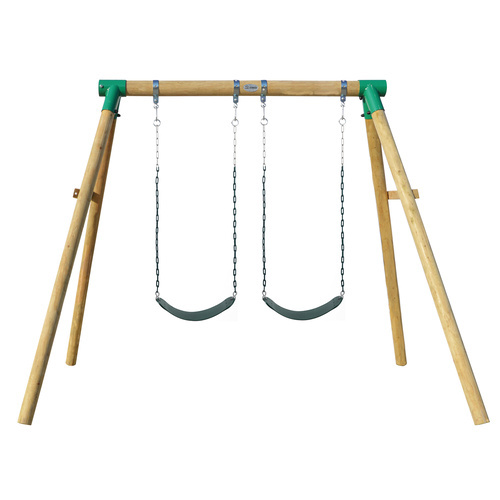 The most hassle-free assembly play-set ever!